At AC Dental of Langhorne, we take pride in providing our patients in Fairless Hills, Levittown, and Langhorne with the best dental teeth cleaning in Bucks County. Having great oral hygiene starts at home with proper brushing and flossing, but the best way to avoid cavities or other dental pain is by visiting the dentist for a regular check-up. Our patients benefit from our preventative dentistry practices, as any dental problems can be addressed and taken care of before it becomes too painful or expensive. If you haven’t been to a dentist in over six months, we recommend you call AC Dental of Langhorne to schedule an appointment to get your teeth checked and cleaned. At most dentist offices, dental cleanings will typically go hand-in-hand with any routine, oral examination. 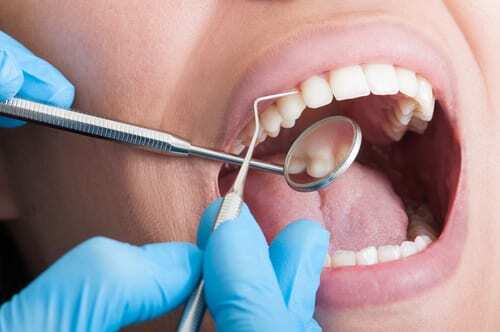 During your check-up at AC Dental of Langhorne, a dental hygienist or assistant will examine if there are any cavities, potential gum disease, or other dental issues before they perform a dental cleaning. The first part of your dental cleaning will entail an ultrasonic scaler which helps to remove debris, tartar, and plaque from between your gum line and teeth. Our team makes sure you are always comfortable, and can adjust settings if you experience any sensitivity. After the first portion of your dental cleaning is complete, your hygienist will use a special paste to polish each tooth. Lastly, he or she will show you the best brushing and flossing techniques and make recommendations to your current routine. If you are raising children in Fairless Hills, Langhorne, or Levittown, it’s important that you have a dentist office where your children can have fun and not be intimidated. That’s just the experience they’ll get here at AC Dental of Langhorne. Through building rapport with your young one, we’ll help them feel more relaxed and comfortable about going to the dentist. Believe it or not, having healthy baby teeth are important. We recommend that you begin scheduling teeth cleaning and oral exams for your kids from a young age. Since children have a lower threshold for pain, regular check-ups can help prevent cavities and any further discomfort. By doing this, you ensure that their baby teeth grow in properly and remain healthy until the adult teeth are ready to come in. Even though we are a 24-hr dentist, we do our best to educate each patient during their oral exams and cleanings about how these dental treatments can help prevent a dental emergency in the future. If you are one of the many adults who have waited too long between dentist appointments, we encourage you to call AC Dental of Langhorne to schedule your cleaning and examination. With just one simple phone call to our cosmetic dentistry, you could prevent a cavity from turning into a root canal. To schedule your appointment with AC Dental of Langhorne for professional dental teeth cleaning or dental whitening call 267-544-7017 today!